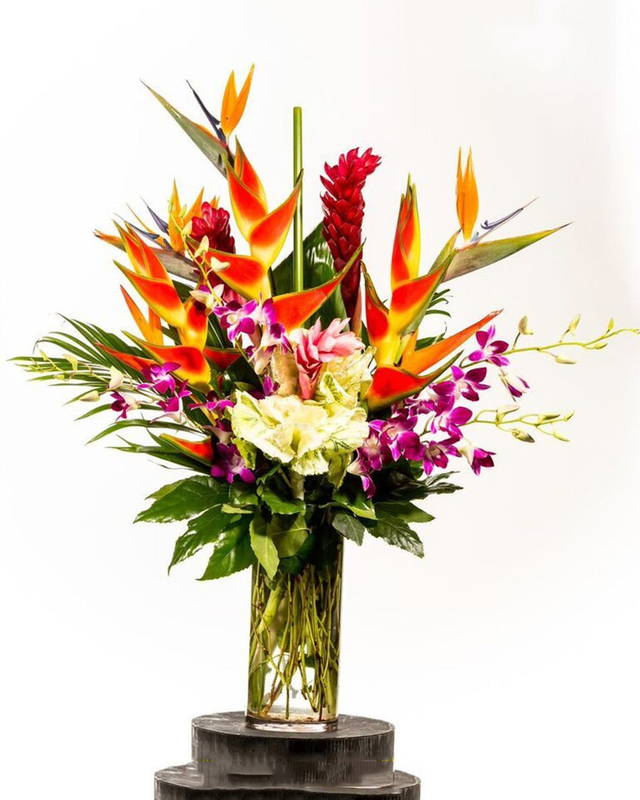 A graceful modern funeral spray of warm colors, it includes flowers such as anthuriums, roses and tropical greenery. Presented as a standing easel display. 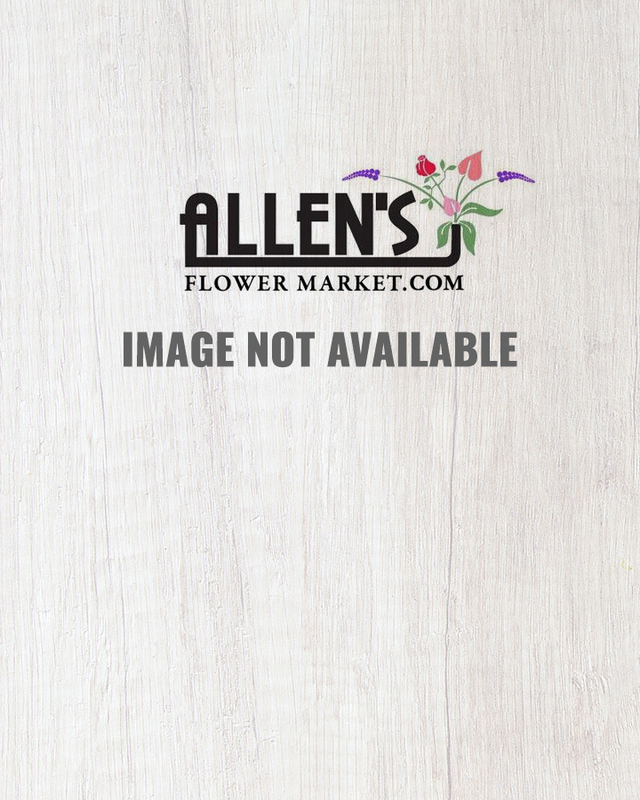 This standing spray on a wire easel includes tropical flowers such as orange orchids, roses and red gladioli. It also may include asiatic lilies, anthuriums, tropical ferns and leaves.